Eric Shell, Director, and Jonathan Pantenburg, Consultant, with Stroudwater Associates, worked with CDP in 2016, through the Small Rural Hospital Transition (SRHT) project, on a Financial Operational Assessment (FOA). RHI staff spoke with Michael Coyle, CEO; Greg Weaver, COO; David Usher, CFO and Leslie Hendrickson, Director of Human Resources in January and again in April of this year concerning progress on this project. Q: What are some of your hospital's successes regarding the implementation of Eric and Jonathan’s recommendations? A: CDP immediately began working to improve revenue cycle management. They went live with the new electronic medical record (EMR) on February 1 of 2017. They identified improvements needed in their registration process and created scripting to help staff to be more comfortable with point of service collection, created a new co-pay policy and implemented front end collection of co-pays. They enlisted a vendor to verify insurance coverage and implemented method two billing. CDP enlisted the help of an outside consultant to work with them to look at billing, charges, make sure they are not over/under charging, audits and items they were unaware they could charge for. They completed a similar process for long-term care billing overview, charge master review and changes in coding to cost report. CDP is starting to see gross revenues grow by capturing more claims and identifying areas that money was “being left on the table.” CDP notes that they needed to re-learn how to bill as CAH after they changed from PPS hospital. Related to the business end of hospital management, CDP is building awareness of all team leaders around financials and their departmental budget by providing in-depth training for team leaders. Regarding quality of care, CDP had not previously publicly reported HCAHPS scores so upon recommendation of the consultant, they implemented this and began public reporting in March 2017. HCAHPS scores are showing some increase and are close to the state median. The team tracks HCAHPS and MBQIP measures and are identifying interventions for problem areas. CDP created a medical executive committee and collaborate with this committee to address provider issues or failures. The EMR provider will educate providers about measures they can provide around MACRA, etc. CDP is making progress to improve the emergency department (ED) services and is completing an ED remodel. They are implementing an ED redirect process and have a new medical director who is very knowledgeable and onboard to use application criteria program for admissions and is addressing unnecessary ED visits. CDP is focusing on increased community education concerning appropriate ED visits through advertising, billboards, meetings with the Indian districts and community forums. They are considering two new clinic sites in 2017 which will provide more options for potential patients. They are currently creating new provider contracts to include incentives and relative value units (RVUs) and the staffing of ED. Inpatient volume is growing and is expected to continue to grow due to new services offered. CDP new swing bed marketing plan is going well and has resulted in an average census of 4.6, surpassing the goal of 4. The work to build new partnerships and to outreach to transferred patients/providers about the availability of swing bed. CDP is expanding their outpatient market share. They recently added a full-time general surgeon and partnered with Essentia for ear/nose/throat (ENT) and ophthalmology. They are bringing in behavioral health services, expanded obstetrics by one practitioner, added midwifery and plan to add two more clinics. They are considering oncology and sports medicine and are working diligently to keep services local. Lastly, CDP is partnering to establish a pharmacy on campus. They hope to see better outcomes with 340B retail pharmacy program since expanding outpatient. 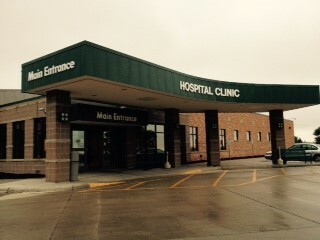 The addition of two more clinics with rural health status will be helpful. Q: What are some ways this project impacted your hospital and community?